I am lucky that I love cooking, but still, there are weeknights when the idea of washing, chopping and cooking a bunch of vegetables is just more than I can handle. And so I lounge around trying to get motivated, eating handfuls of crisps and just getting hungrier and hungrier until I give in and make a quick but rather boring omelette for dinner. As I said in this article, I try to help myself out of these situations by cooking various things over the weekend, and it never fails to get me moving in the kitchen on a weeknight. But by the time I get to Thursday or Friday, the leftovers and pre-chopped vegetables I so diligently prepared have run out. And that is where quesadillas come in. It takes me all of half an hour to drop into Marks and Spencers on my way home, grab some grated cheese and tortillas, heat everything up in a frying pan and sit down to a comforting meal of “real” food. Sure, the quesadillas are lacking the traditional queso fresco cheese, and I wouldn’t recommend you have this much fatty (and delicious) cheddar every night. But still, I think we could all do with more easy recipes that fall between the categories of greasy takeout and health food. On that wise note, here is the recipe! 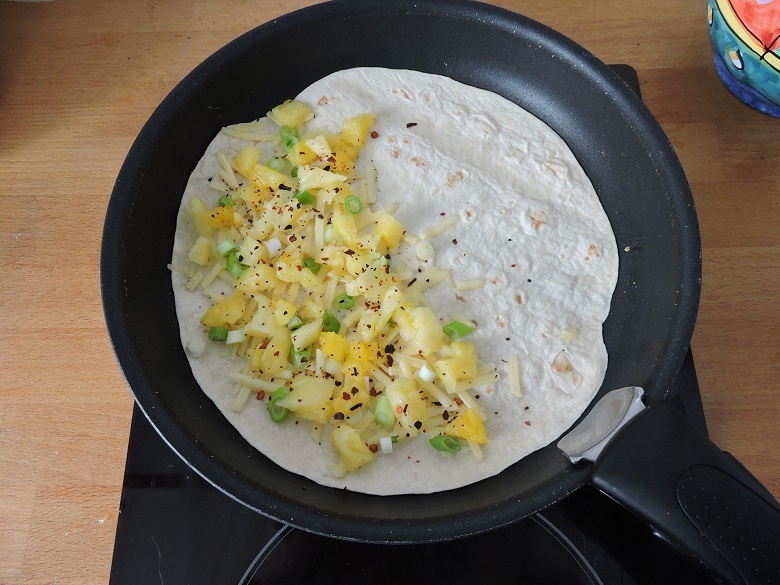 Note: Pineapple and spring onions are my current favourite ingredients for quesadillas, but you can fill the tortillas with virtually anything. Chives, chopped cooked chicken, bell peppers… Try out new combinations with whatever is lurking in your fridge! 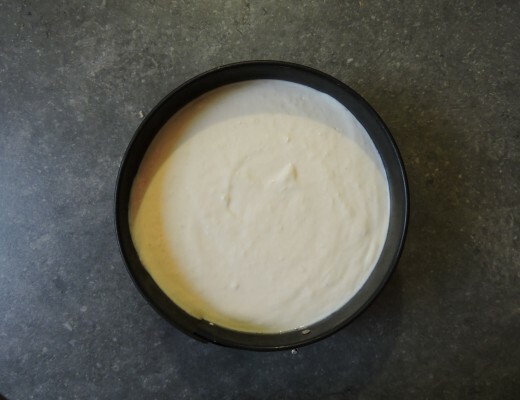 Place the first tortilla in a dry frying pan, without any oil, on medium heat. While the pan is heating up, chop up all the fresh ingredients and grate the cheese if need be. Once the pan is fairly hot, sprinkle half of the cheese on one side of the tortilla. 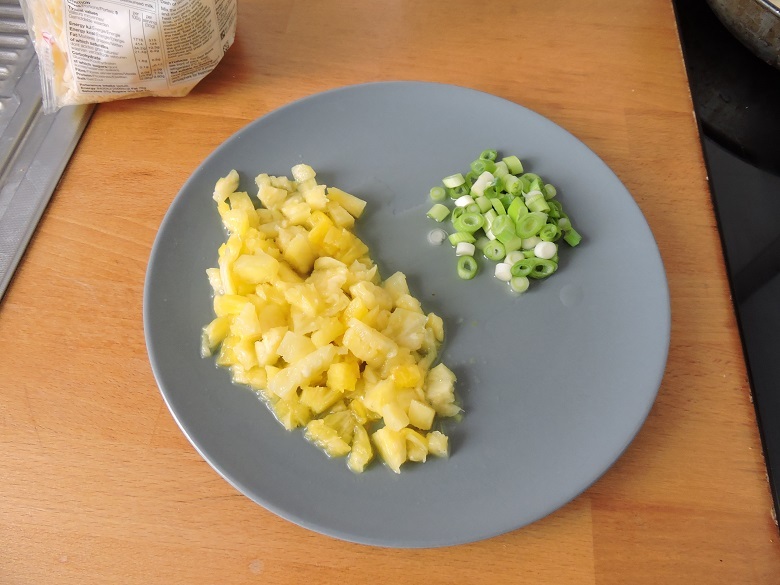 Then, sprinkle half of the pineapple, green onions and chili seeds on top. Try to space out the ingredients evenly so you get a variety of flavours and textures in each bite! Lift up the “plain” side of the tortilla with a spatula to check that it isn’t burning underneath. Once the cheddar cheese has melted, check the tortilla again. It should be turning a nice shade of pale brown. Once it looks ready, fold the tortilla over with a spatula and slide it onto a plate. Start over with the other tortilla. 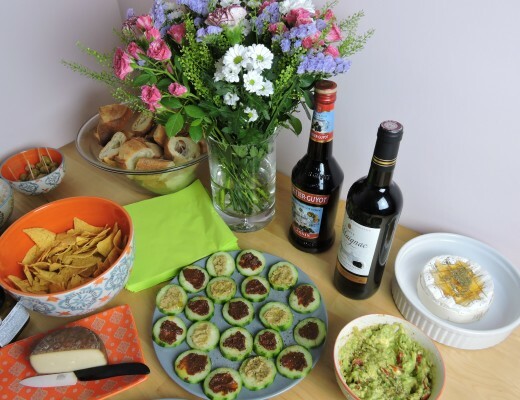 You can prepare some salad and/or guacamole while you’re waiting for it to finish cooking. The first quesadilla should still be hot by the time you sit down to eat. 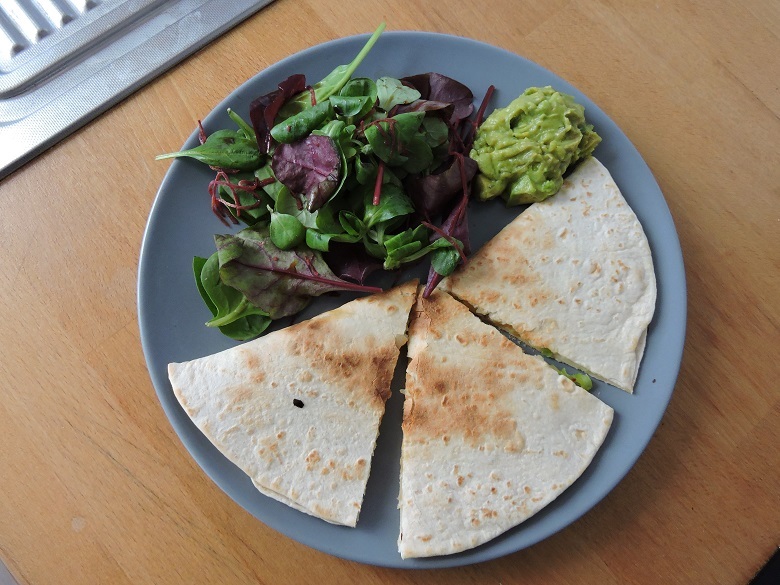 You can eat the quesadillas with a knife and fork, or you can cut them into slices and eat them with your fingers. 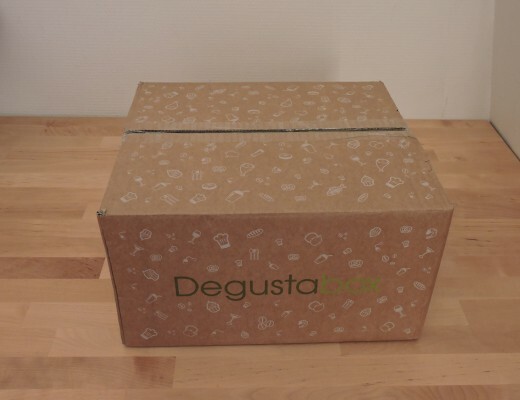 Do you have any quick and easy weeknight staples that you come back to again and again?